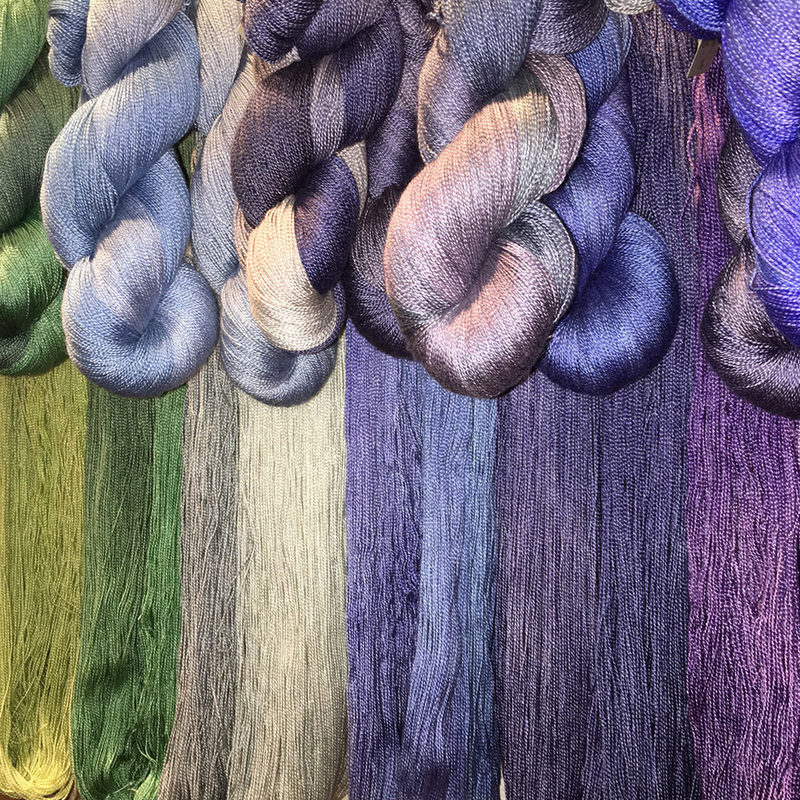 Fidalgo Artisan Yarn & Clothing features clothing and accessories made “by hand” along with the ready-made collections – a fairly unique feature in today’s world. Our artisans and designers are local professionals, using high quality materials, and time honored as well as innovative techniques. We hope you will come, enjoy, learn, and find out what makes handmade, one-of-a-kind, and art to wear so special. We are delighted to feature the work of internationally known fiber artist and designer, Anita Luvera Mayer. 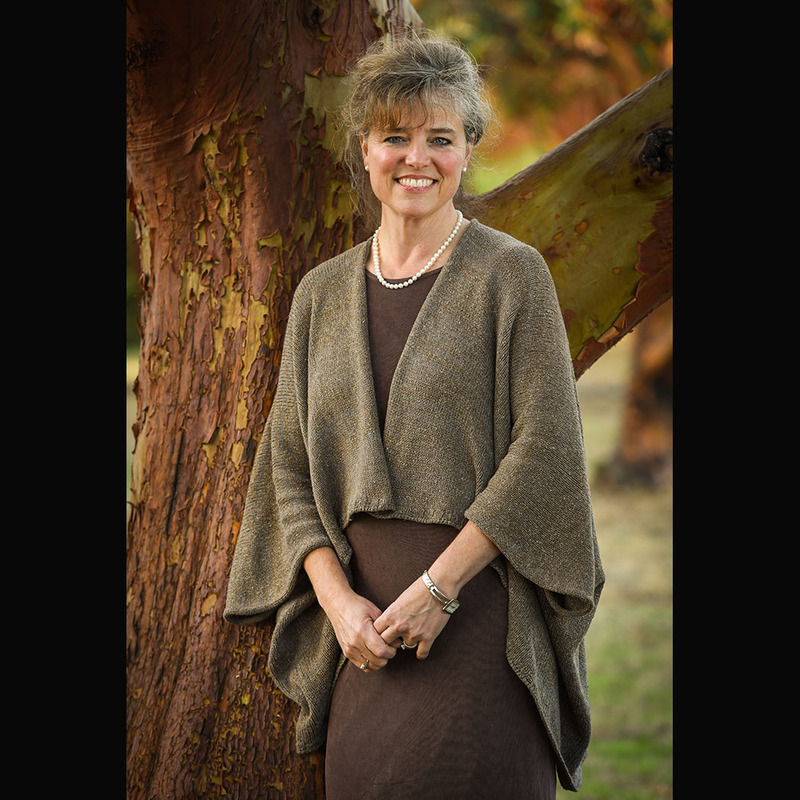 Anita was born in Anacortes and has traveled extensively researching and collecting textiles which influence and inspire her work. In this collection, you will find unique jackets, vests, scarves, robes and kimonos made from her handwoven and hand-dyed fabrics. Her her signature color work and rich hand embroidery, beading, and couched cord embellishments grace all garments. 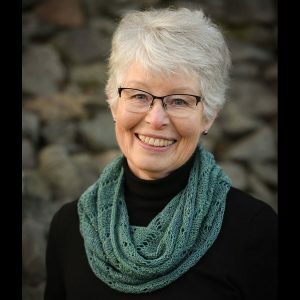 Jane Fleshman is from La Conner and became passionate about beading after retirement. 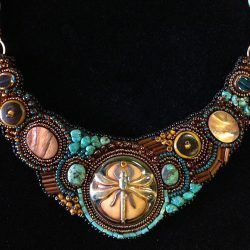 Jane creates ornate, one-of-a-kind bead embroidered cuffs, neck pieces and collars. Living in the Pacific Northwest, Jane finds inspiration in the beauty she sees all around her. 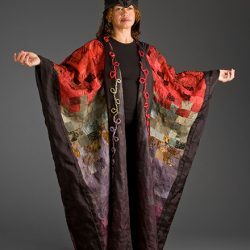 Jane’s award winning work utilizes natural elements: stone, shell, wood, feather, as well as vintage and recycled buttons, beads, fabric, and costume jewelry. 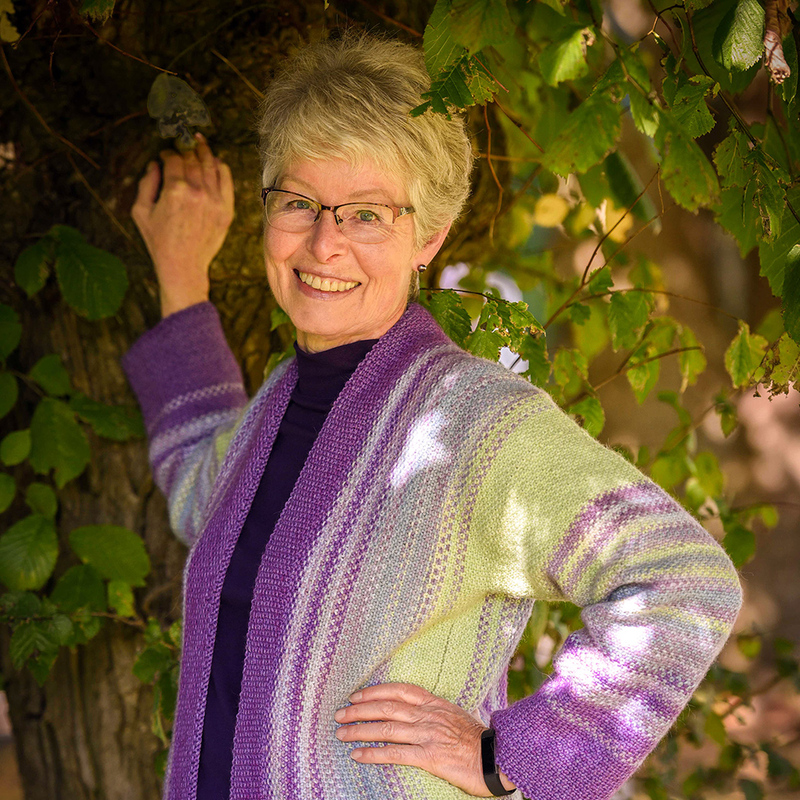 Lori L. Maul is our sweater designer and maker and also owns the shop. 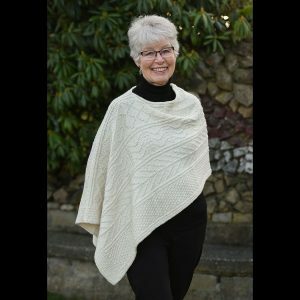 Lori graduated from the University of Washington with a focus on textiles and art and has been knitting since age 13. 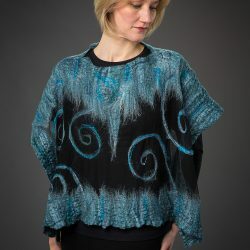 All of her designs are original and are made with high quality natural fibers. 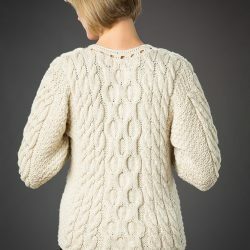 She enjoys the color and texture of the knitted fabric and uses simple stitches to create her knitwear. Classic in design, these garments are easily wearable and made to be enjoyed for years. 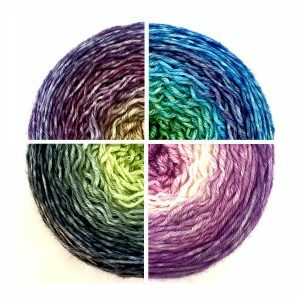 Emily fell in love with the stuff of art — color, texture, light — as a child, but didn’t discover an outlet for this passion until learning how to knit as an adult. Decades of living in New York City led to an ongoing desire to soften a world of concrete and glass with delicate, feminine lace. Now, having resettled on beautiful Fidalgo Island, Emily finds inspiration in the salty air, sunsets at Washington Park, and the places along the shore where land and water meet. 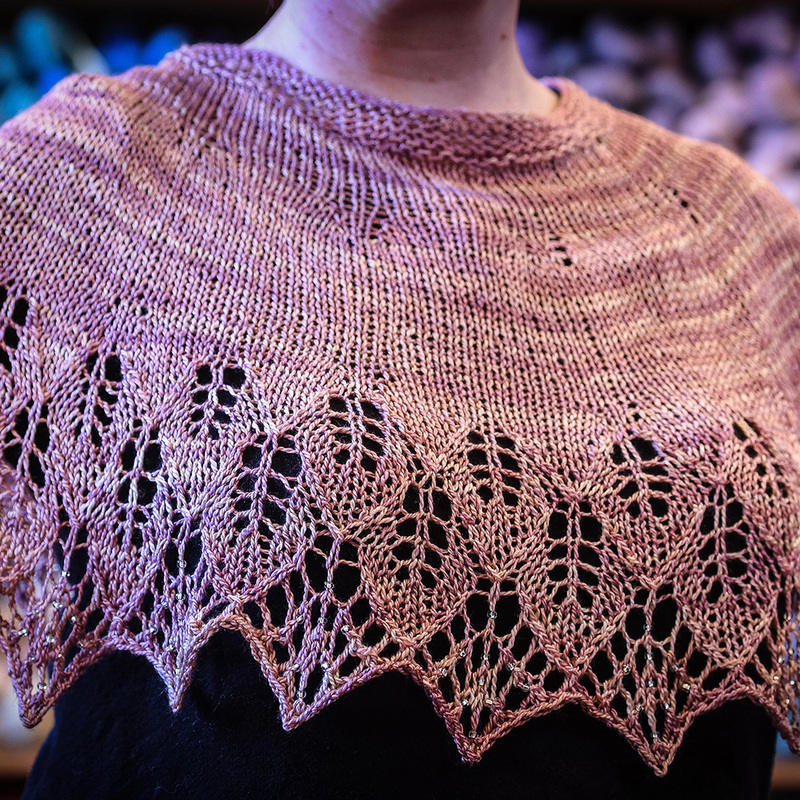 Emily’s work ranges from everyday and fancier cowls, shawls and wraps to wedding-oriented beaded lace shawls and chuppahs. Namaste may have inspired the term “globetrotter”. She was born in Germany, raised in Sweden and Spain, spent a decade in the Caribbean, and now finds herself very much at home in the Pacific Northwest. Having had the privilege of experiencing so many diverse places, people, and cultures, Namaste has become a deeply reverent resident of our planet. Accompanying Namaste throughout her travels is her love of art. She explored photography, painting, sculpting, fashion design, and pottery before fiber emerged as her medium of choice. 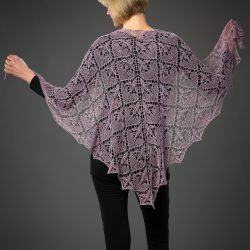 Her current collection consists of shawls, scarves, tunics, and capelets, from summery light and fluid to elegant winter weights. Each piece is a celebration of feminine beauty.